Arizona is facing a teacher workforce crisis that threatens the quality of education for all Arizona students and has significant implications for the health and prosperity of the state. 42% of teachers hired in the state left the field after three years or less. Another 2,980 teacher positions were filled by people who hadn’t met standard teacher requirements. 463 teachers abandoned or resigned from their teacher positions within the first four weeks of the school year. Tucson Values Teachers conducted the first statewide teacher survey in 2015 and found that in addition to inadequate pay, teachers felt that they were not valued or respected by the community, were not trusted to do their jobs without micromanagement, and that the time commitment had become overbearing. Decades of research have shown that the quality of the teacher in the classroom has the most significant impact on student achievement. Quite simply, teachers matter more than any other aspect of schooling. Resolving this issue is paramount to ensure that Arizona students receive the quality of instruction they need for college and careers and to be productive citizens. Raise awareness and educate Arizonans about what it’s really like to be a teacher in Arizona schools. Illustrate the impact of low pay, the demands of the job and the need for respect and support on a teacher’s decision to teach in Arizona or stay in the profession. Build public and political will to support teachers and education, and influence all eligible voters and decision-makers to support funding and policies that positively impact the teacher workforce. Lisa Molomot has directed and edited documentaries that have aired on PBS’s Independent Lens, Discovery Channel, A&E, and ESPN. Her work has been seen at Sundance, SXSW and the Mill Valley Film Festival, and her hugely popular film School’s Out has been an integral part of the movement for providing outdoor education for young children. 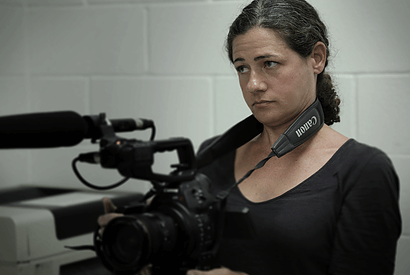 She has taught film production and documentary film history at Yale University, Wesleyan University, Trinity College, and most recently, the University of Arizona. Jacob Bricca is an award-winning documentary filmmaker who has worked on more than a dozen features, including Lost in La Mancha (IFC Films) and the 2016 Sundance award winner The Bad Kids, now streaming on Netflix. He last worked with Molomot on her feature The Hill, which was broadcast on PBS. 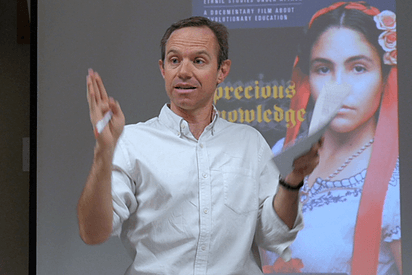 He is an Assistant Professor at the University of Arizona’s School of Theatre, Film & Television. Tia Lei Tsosie-Begay is a member of the Navajo tribe from Northern Arizona who came to Tucson from the Navajo Reservation in 1998 to earn her bachelor’s degree from the University of Arizona. Tia graduated in 2002 with a degree in Elementary Education and again in 2005 with a master’s degree in Educational Leadership. She has been a general education teacher for students in grades 1 through 4, and also served as a physical education teacher for students in kindergarten through 8th grade. Tia also has spent several years coaching and mentoring others as a Title I Program Facilitator. She says her most satisfying days are when she feels that a student is able to articulate learning in their own words. She also strives to find ways to fund her students’ personal libraries because she believes that books should be in everyone’s home. For the past 11 years, Nate Rios has been a teacher at Flowing Wells High School in the Social Studies department where he has taught U.S History, Advanced Placement U.S. History, U.S. Government, and Student Government. “Teaching at a school where 69% of students receive free or reduced lunch requires creating opportunities for students to explore and achieve,” Nate says. In addition to his classroom responsibilities, Nate has been the advisor for Student Government, Leadership Retreat, Link Crew, Zoo Club, and National Honors Society. 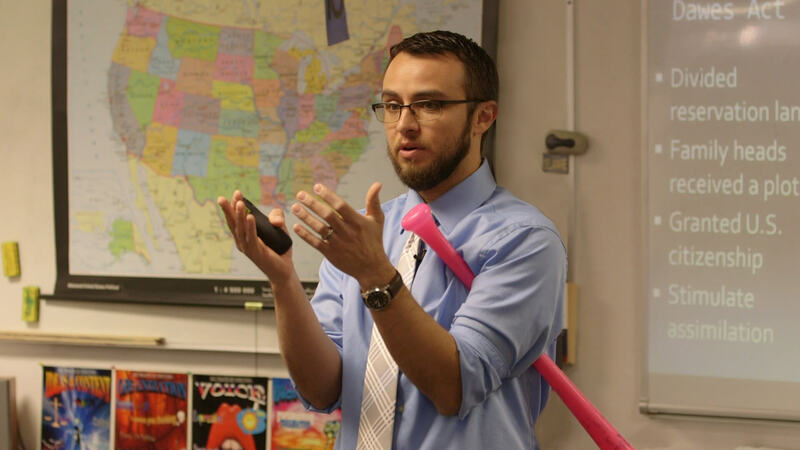 Beyond his day-to-day responsibilities with students, Nate serves as Department Chair, mentors first- and second-year teachers as an Instructional Coach, and before the school year begins, helps train new hires in the Essential Elements of Instruction. Before joining Flowing Wells, Nate earned a bachelor of arts degree in Political Science and Religious Studies from the University of Arizona and volunteered for Young Life, where in 2001 he first began spending time at Flowing Wells. Janet Acree was a 5th grade teacher at Tucson Country Day School but recently moved to AmeriSchools Academy. She is a native Tucsonan who attended Amphitheater Public Schools. 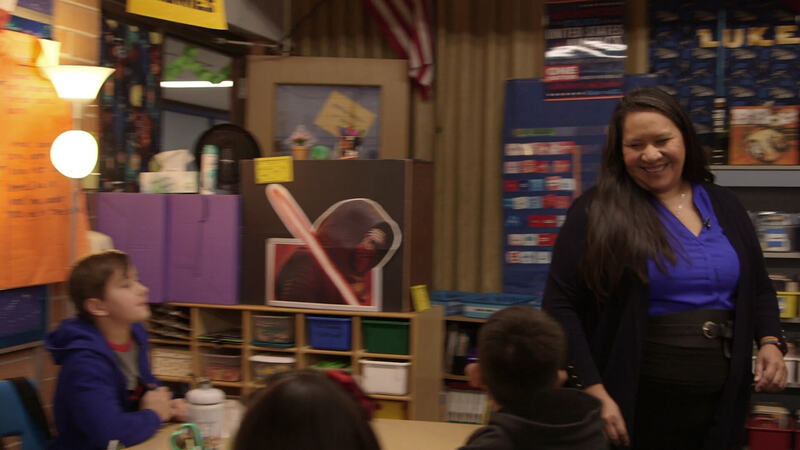 She received a bachelor’s degree in Family Studies and Human Development from the University of Arizona before starting her career as a teacher. She came into teaching after spending time working in schools her senior year of college and participating in an alternative teacher certification program in Oklahoma. There, she taught 7th grade pre-algebra at a large public school in Oklahoma City. Upon returning to Arizona, Janet sought to keep teaching and took a job as a math interventionist for elementary and middle schoolers at AmeriSchools Academy in Tucson. There, she discovered her passion for helping children to develop a love of learning, especially in math, which can sometimes be a scary subject. In addition to teaching, Janet tutors students in math and serves on several school committees. She also acted as a liaison for her school in the RedForEd grassroots teacher movement. 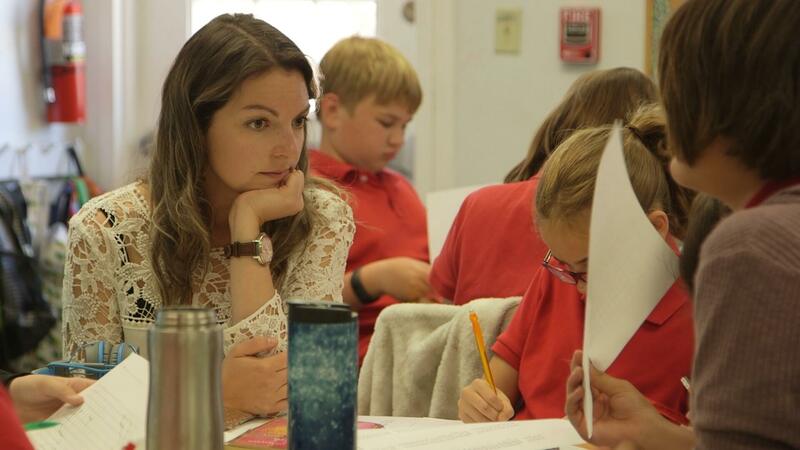 Although she is new to teaching, her greatest passion is supporting other teachers. In the future, her goal is to work alongside other teachers to innovate education.